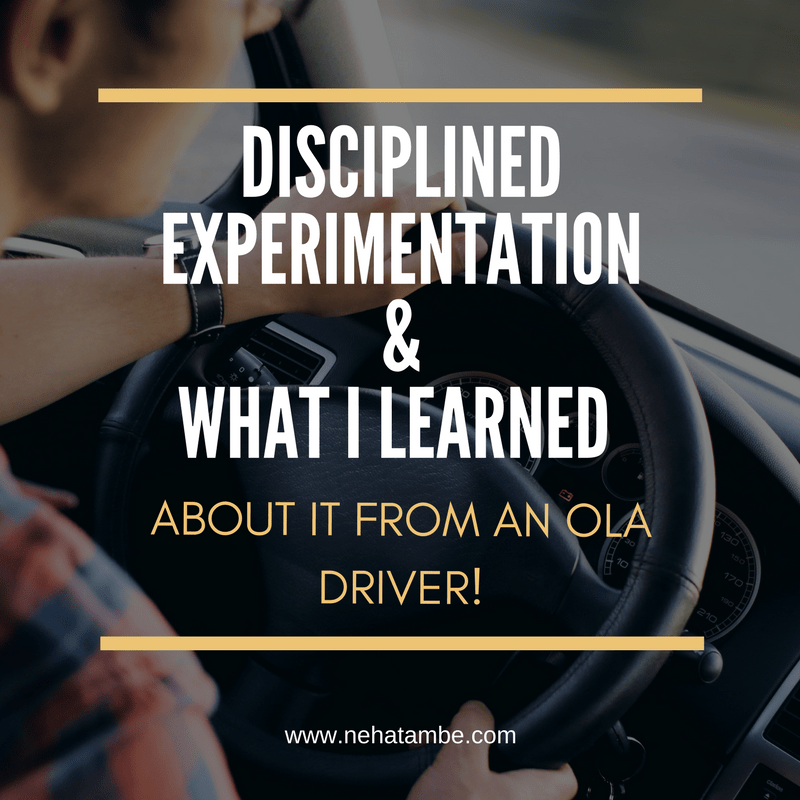 Disciplined experimentation and what I learned about it from an Ola driver! Completing a business meeting with a university partner I had just hailed my Ola cab and upon receiving confirmation decided to take a short walk out towards my cab. My idea was to mingle with the buzzing campus instead of staying put at the department podium, the cab I hailed was knowingly a good 15 mins away. Unexpectedly I got an incoming ring “Just dropping off a passenger and then picking you up sir, hope that’s fine”. Getting back to work on time after my mid-day meeting was what my impatient mind was preoccupied with at that moment and I would admit that the call itself wasn’t a complete surprise but the tone somehow definitely was and gave me my first inkling of what I was about to discover that day on my ride – an interaction with a budding entrepreneur. As I was getting comfortable into the cab I quickly enquired about the route the driver had on his mind and taken aback by an odd reference he made of a local landmark – Jhansi rani chowk instead of Balgandharva chowk – started suggesting him my own route. The wrong reference was enough for me to gauge that the guy wasn’t a Puneite, and that’s exactly where we picked up conversation! Very polished in his approach and displaying uncanny hospitality, even for someone in a customer facing services domain, Santosh wasn’t the usual driver and this wasn’t going to be a typical Ola ride for me. Santosh mentioned that he had some background working in the IT industry but had recently decided to run his own show and grow up to own a fleet of cars. He envisioned to become an employer for drivers working for Ola and extend job security + retirement benefits as his firms value proposition. To set his business model plan in motion and to test his hypothesis he explained how he had studied the two possible starting points for him, either owning a vehicle or leasing one from Ola. Diligent calculations on payback based on minimum business to be earned per day and the time period that he had to be on the streets before deciding if this was for him, Santosh explained that he had decided to give it three months as the time period to test feasibility and more so the viability of his new business proposition before the money pressure would make him pivot to another approach. Having set out to do this, he planned multiple small experiments, wherein and this was the most interesting part to hear about, he took the path of not trying to maximize his returns and prove his three month payback calculations, but taking as many risks as possible! This was a pretty courageous decision as it involved driving at different shifts in a day, sometimes taking multiple shifts, including non-peak and overnight shifts, in all parts of the city and amongst other things never declining a customer. It was amazing listening to his learnings as he recounted some anecdotes. He had discovered that he got priority for customer calls as he was riding an Ola leased car and how he therefore made it a point to never decline such calls#, a part of his personal ethical code. After all this was a benefit he was getting from his so-called-employer and he wanted to do his bit instead of assuming this as a perk! Some hard learnings on the way as well, an example he cited when he went low on balance for his leased Ola car and on a Sunday. Instead of getting the maximum earnings as he had hoped for he finished the day with none as the Ola corporate office had a holiday and he couldn’t recharge#! An interesting anecdote involving his brush with law enforcement and how carrying a neck strung identity badge that he adopted himself helped him not just avoid some unnecessary scrutiny but earned him some respect from the traffic police that’s atypical for a job like this. To maximize his learnings he decided to deploy his primary plan – the one of becoming an employer for other drivers. He already had registered his company, only owner no employee yet company, and then had found couple drivers who were interested in working for him. While on my ride that day he got a call from one such prospective employee whom he asked to wait at the Ola Pune office while he finished my ride and got back. He wanted to ensure he was part of the process and understood the intricacies involved. Santosh wanted to use the three months to learn not just what works but what doesn’t work as well. For establishing a startup the entrepreneur needs to navigate multiple pitfalls and choose the right direction whenever at cross roads. 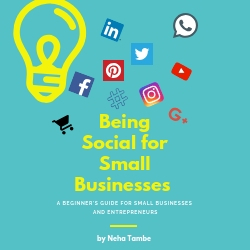 Running a startup is a fulltime job, if you are doing this on spare time, on weekends, or with limited bandwidth then rest assured you are grooming a hobby and not running a startup. Passion is clearly the driver for startups but weighing in the risks and systematically addressing them helps guide aspirational vision through a prism of pragmatic outlook. For achieving success decision making is pivotal and to make apt decisions one needs to list key assumptions and devise fool-proof means to validate them. Basically devise a series of experiments planned to turn speculations into reliable predictions, a series of disciplined experiments**. For maximizing success it probably comes down to the ability to test assumptions, setting specific time bound targets to evaluate those assumptions and therefore learning in the simplest, fastest yet cheapest way possible. That was one admirable disciplined experimentation plan that Santosh the Ola driver had implemented for testing his primary and secondary hypothesis. I wished Santosh the best for his remainder 50 days as I got off the cab and left with a lot to ponder about and a bunch of new learnings for myself. # The author may not be not aware of the full details of how the model works and has not had a conversation with Ola to verify details.